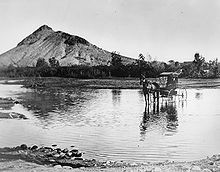 *source*﻿ Tempe (/tɛmˈpiː/ tem-PEE; Oidbaḍ in Pima), also known as Hayden's Ferry during the territorial times of Arizona, is a city in Maricopa County, Arizona, United States, with the Census Bureau reporting a 2010 population of 161,719. The city is named after the Vale of Tempe in Greece. 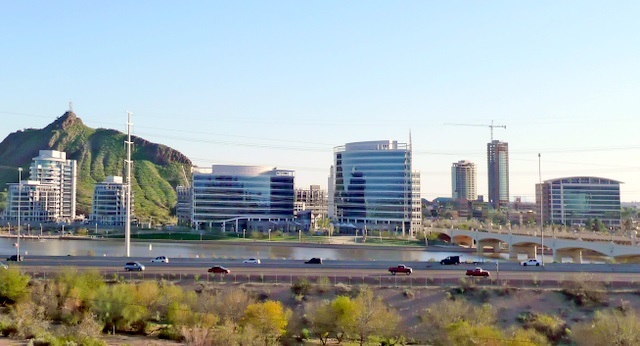 Tempe is located in the East Valley section of metropolitan Phoenix; it is bordered by Phoenix and Guadalupe on the west, Scottsdale on the north, Chandler on the south, and Mesa on the east. Tempe is also the location of Arizona State University.